New Delhi :(08/02/2019) Skinella has launched a clutter breaking, and hopefully stereotype breaking idea : Skinderella, to liberate the current millennial generation from the fixed and rigid stereotype of beauty standards set for them. A contest that bashes and breaks all myths and pressures that young girls take upon themselves to have an acceptable look. In the second year running, Skinderella was set for its quest to find the most #SuperNaturally girl of 2019. Winner Shreya won the coveted crown with a cash prize of Rs. 1 lakh. “Skinderella is not merely a beauty pageant. It’s a platform that empowers and enables young girls (15 to 25 years of age) to question age old beauty norms, challenge societal pressures and to find their very own meaning of beauty. 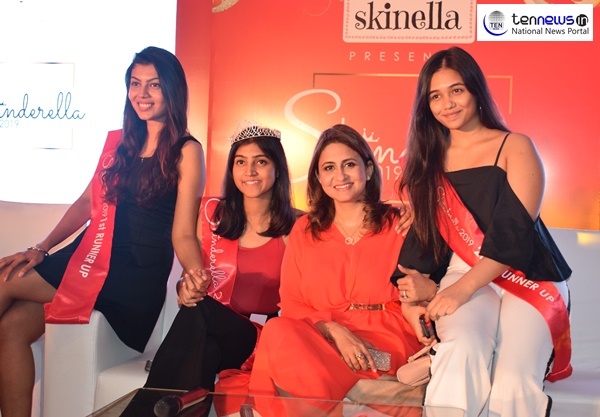 Because at Skinella we believe that confidence is the most beautiful make up any girl can wear!”, said Dolly Kumar, Founder, Skinella after the award session.